Witches are easily one of the most recognized monsters in the world, and their history is a long one. From being sought out and killed in Salem, Massachusetts, to being presented as a common mystical villain, to becoming fashion and lifestyle icons, witches have made their mark in popular culture and will continue rise in popularity with each passing Halloween. Witchcraft had been feared in Europe for centuries already, where any woman who acted out of character (read: thought freely, did not conform fully, did not listen to the whims of men, etc.) was accused of witchcraft. 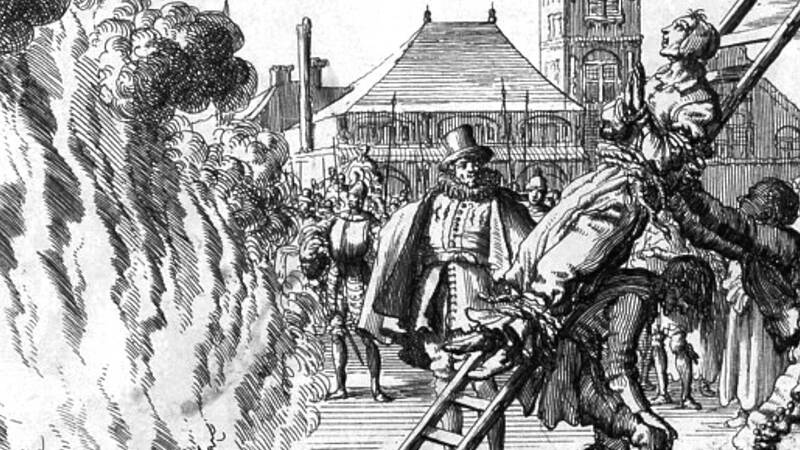 It is well understood these days that witchcraft accusations and trials were the result of a deep-rooted misogyny, rampant in Europe and the early United States colonies. By the time of the Salem Witch Trials in Salem, Massachusetts, however, the oppression became something more. As with most things co-opted by white people, the roots of witches and witchcraft in the United States likely lie with indigenous folk, namely the Navajo, particularly in their legends of skin-walkers. These indigenous legends took hold in early US colonies, because colonizers often enslaved indigenous people. Such was the case with the earliest accusations of witchcraft in Salem. It was an enslaved indigenous woman that is said to have kickstarted the Salem Witch Trials in the years 1692 and 1693. Known only as Tituba, this woman was enslaved by the Salem minister Samuel Parris, and she spent much of her time caring for Parris’ daughter and niece. 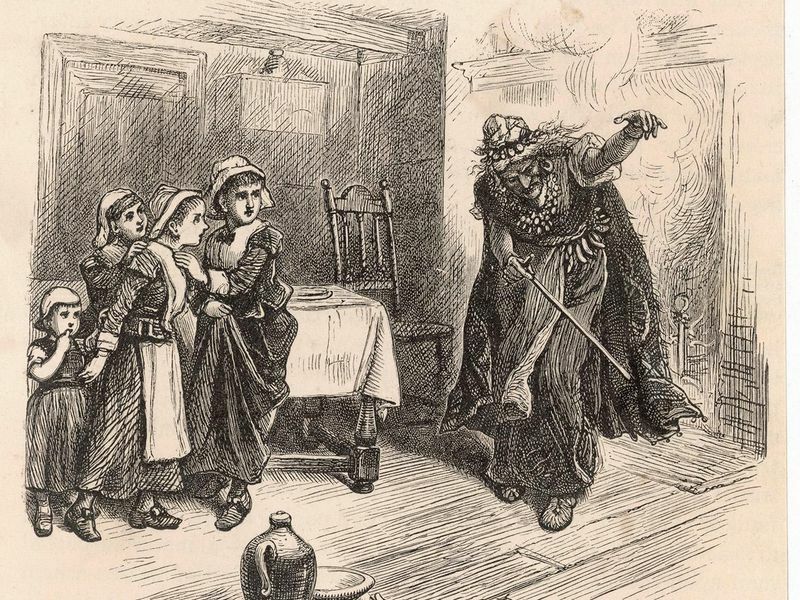 These two girls were the first to exhibit what were considered the signs of having been bewitched—including convulsions and hysteria—and they placed the blame on Tituba, stating that she had practiced witchcraft on them. The accusations placed on Tituba were the first of many, and by the end of the Salem Witch Trials, around 150 people had been arrested and 20 were put to death. Some say Shakespeare was one of the people to help coin the iconic wicked witch imagery we know today. The evil witches in the play Macbeth gather around a boiling cauldron and chant spells, making them fearsome and ghoulish. The green colored skin of modern depictions of witches has been traced by researchers to the results of torture and punishments during the Salem Witch Trials; women would often end up with greenish skin due to physical damage, gangrene, or other infections. 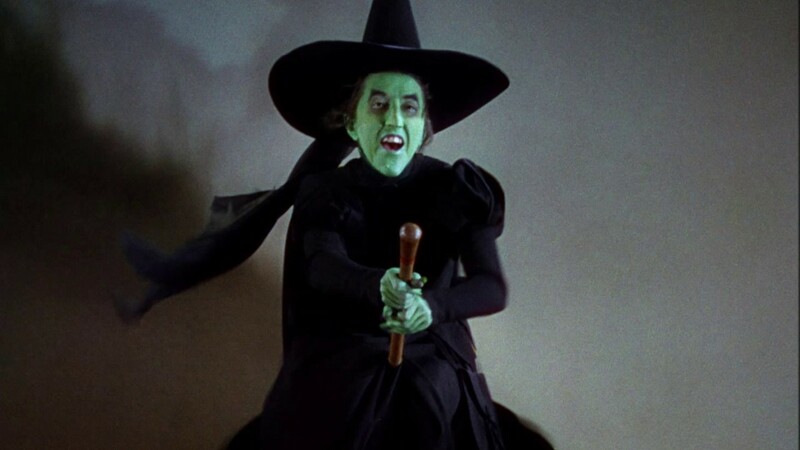 The witch often credited as the start of the full modern characterization of witches, however, is the Wicked Witch of the West—seen in color in The Wizard of Oz in 1939. 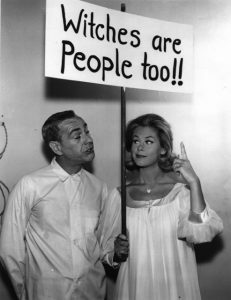 After that, the idea of witches changed in the early 1900s and specifically the 1960s where women adopted the concept of “cute witches.” This is thought to have taken off with the 1964 sitcom Bewitched, the story of Samantha Stephens, who attempts to become a normal housewife despite her magical powers. Bewitched actually helped the town of Salem come to terms with its past and adopt a more tourist-friendly atmosphere that relied on kitschy witch imagery. Since then, pop culture has fluctuated between ugly, evil witch and cute, feminist witch icon. 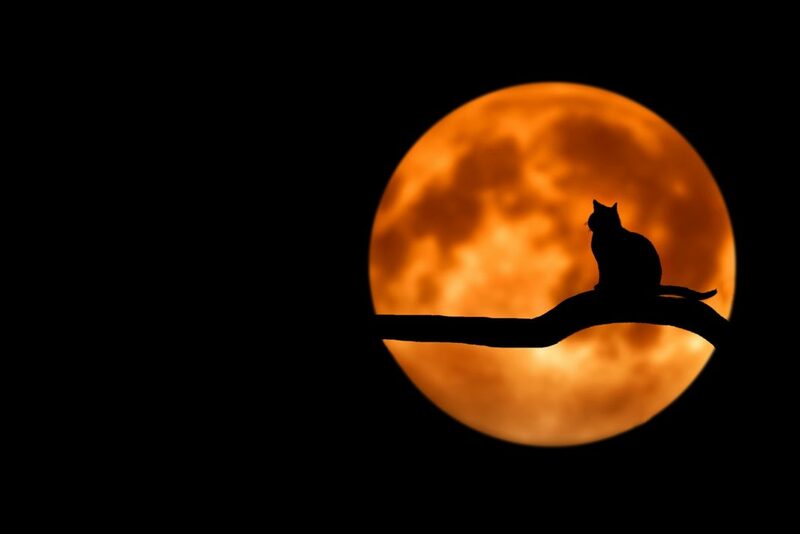 With the help of book series like Harry Potter and film series like Halloween Town, witchcraft became accessible to younger people and rose in popularity. 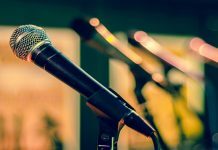 Now, Wiccan beliefs and culture are wildly popular among young people in the United States—so much so, in fact, that Sephora was going to sell a “starter witch kit,” until the idea received so much backlash online that they pulled it from their stores. Of course, with the rise of popularity in popular culture, witches have found their way into many, many video games. 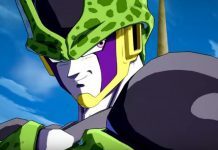 Ranging from being an evil, ugly villain to the main protagonist, we see different types of witches, with various levels of power, various characteristics, and various levels of attractiveness. Often, video games portray witches in a misogynistic way, but sometimes, the witches are good, and helpful, and there to assist the player along the way. 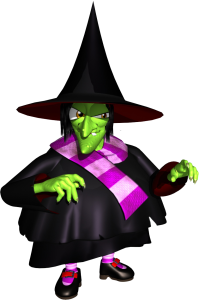 One video game witch that supports misogynistic witch stereotypes is Gruntilda from the Banjo-Kazooie series. Called Grunty for short, this witch is short and stout with green skin. Other features include a long, pointy chin, a big, crooked nose, and long, claw-like fingernails. She is the epitome of the evil, ugly witch trope; even her purpose reveals this. In the series, her only goal is to become beautiful. In the first game, Gruntilda kidnaps Banjo’s sister, Tooty, in order to steal her beauty. This shows that Gruntilda has an ugly and evil personality to match her ugly appearance. 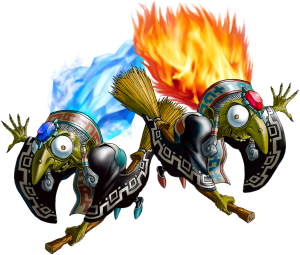 Similarly, in The Legend of Zelda: Ocarina of Time, two witches are featured as antagonists. Koume and Kotake have an appearance similar to that of Gruntilda, with greenish skin and long, crooked noses. They also ride around on broomsticks. Also similar to Gruntilda’s story arch, they show signs of being vain; as they die, they argue about which of them is the younger of the two sisters. Unlike Gruntilda, however, the two make a comeback in The Legend of Zelda: Majora’s Mask. They exist in the parallel world of Termina, where they live in the Southern Swamp, where they own a magic and potion shop and run a boat cruise and tourist center. 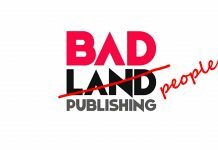 They provide assistance to Link in the form of potions and free boat cruises. There are many other witches in many other video games, both protagonist and antagonist, ugly or beautiful, powerful or weak. Witches are a mystical concept that have only grown in popularity and will likely continue to do so. Hopefully, we can expect to see many more games featuring fresh new perspectives on witchcraft. Julia Brackett, known as JB to friends and acquaintances, loves to create. Some passions include music, writing, design, and ice cream. Some hobbies include riding bikes and getting bullied by children in Splatoon 2. JB lives in Boston, Massachusetts with a wonderful partner and two cats, Zelda and Burrito.